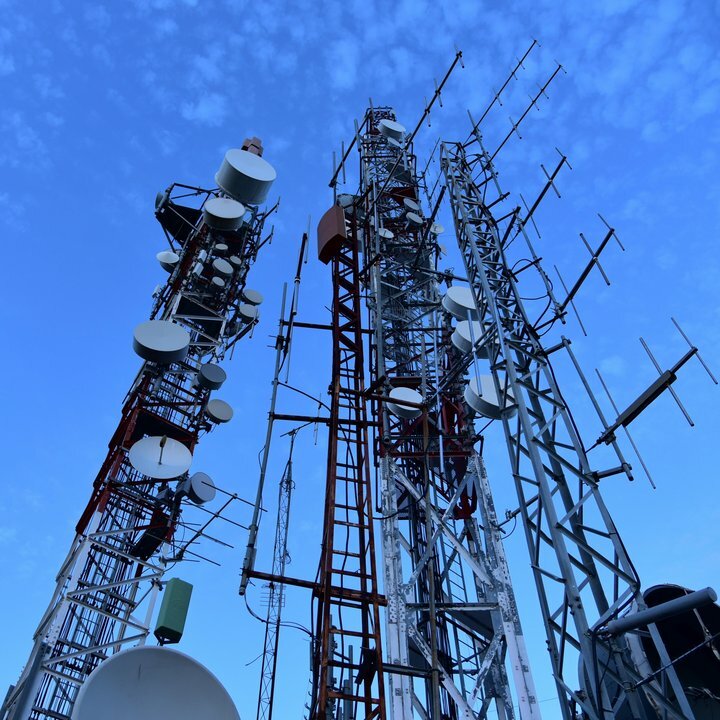 We are creating a coherent, integrated approach to wireless systems, from the propagation of radio waves up to and including optical and wireless access networks. Our goal is to push boundaries and explore new applications of wireless technology. The CWTe is a collaboration of five research groups of the Electrical Engineering department of Eindhoven University of Technology (TU/e): Electromagnetics (EM), Integrated Circuits (IC), Signal Processing Systems (SPS), Electronic Systems (ES) and Electro-optical Communication (ECO). We focus on four programs: Ultra-High Data-Rate Systems, Ultra-Low Power and Internet-of-Things Communication, Terahertz Technology, and Radio Astronomy. Together, these programs cover a range of topics such as antenna design, wireless power transfer, data conversion and RF circuit design, signal processing, communications baseband algorithms, and optical and wireless access network design. We continuously develop a vision for each of our programs, their applications and supporting technologies. Our horizon extends, at this moment, to 2028. It includes a regularly updated roadmap of the enabling technologies that will be needed. Based on this, we define the research direction and identify the areas where collaboration with other disciplines and partners will be required. The Ultra-High Data-Rate Systems program covers network architectures and system design for high-speed, high-capacity wireless communications. We aim at solutions for pushing data rates toward terabits per second. The Ultra-Low Power and Internet-of-Things Communication program focuses on the spectrum and energy efficiency of the IoT, such as ultra-low-power circuitry and protocols. Our goal is to develop enabling techniques for massive and dependable energy-efficient communication networks. The Terahertz Technology program is working on the next step to realize miniaturized and affordable terahertz systems. It will be these systems that will bring the wealth of terahertz applications from the laboratory to the real world where companies, medical centers and consumers will profit from the special detection and imaging properties of this frequency range. Our Radio Astronomy program focuses on designing the next generation of radio telescopes. The universe has never been properly mapped at low frequencies (below 30 MHz), and this research contributes to a space-based radio telescope with the goal to look deeper into space. 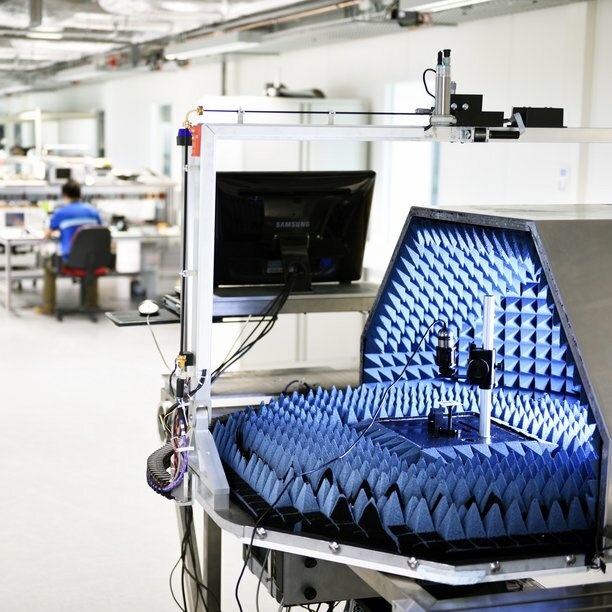 The CWTe integrates various laboratories designed for research on wireless antennas covering an area of 700 square meters: from near-field scanning (the testing of antennas in a small space), to the testing of new chips on wafers. The facilities include a fully shielded metal room in which the most sensitive electronics can be measured. In a system integration lab, chips can be linked to other components. In particular, the combination of the various laboratories and the clustering of the associated expertise in one place make the CWTe unique in Europe. The CWTe laboratories are fitted with a traditional anechoic chamber of 28m² that facilitates antenna measurements from 500MHz till 40GHz. 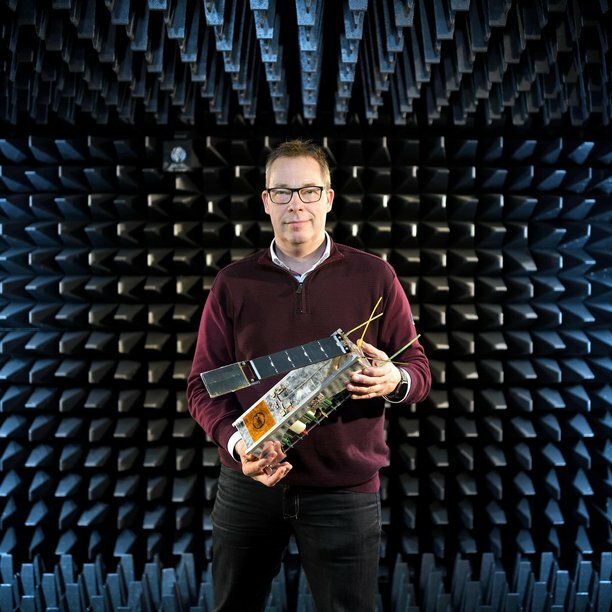 Next to classical far-field measurements it also supports planar near-field measurements of large connectorised antenna systems up till 90GHz. The MSM group carries out fundamental research on RF and mixed-signal IC design applied to front ends, including the AD and DA conversion. An overview of all our Research Retreats, CWTe bi-monthly colloquia, Other Colloquia and Symposia. The synergy of fundamental science and industrial application could generate substantial gains for partners collaborating within the Center for Wireless Technology. Such a collaborative approach ensures that the scientific research keeps a focus on the various technological, economic and regulatory demands that influence the application framework. The outcome is a virtuous circle whereby science and application reinforce and enhance each other. There are three levels of CWTe participation. This form of partnership involves a commitment to structural and shared funding in program(s) for a period of six years. Partners have the opportunity to exert their influence on the goals, development and structure of a particular program and to ensure that optimum support is provided to achieving the joint set of targets. There is an entry fee that provides free access to consultation on accumulated knowledge. This access is distributed according to the accumulated shares a partner holds. This form of partnership concerns a commitment to individual projects and is by invitation only. Typically these projects are defined in cooperation with the project partner. A research partner has a similar role to that of internal CWTe groups in which roadmaps are aligned or shared. These are preferred partners in Dutch or European programs. Each of the CWTe research programs has a program board. The program board is responsible for selecting the projects and project partners as well as drawing up a roadmap and program in which the project aims and procedures will be defined and detailed. For more information, please contact Jan Haagh, CWTe Business Developer.